A new display at the South Carolina Maritime Museum in Georgetown called “HENRIETTA, the Largest Wooden Sailing Ship Ever Built in South Carolina,” effectively combines illustrations and illuminations to explain the huge amount of resources needed to construct the square-rigged HENRIETTA. With a backdrop of brick walls and canvas partitions, the HENRIETTA’S story is told in a series of photos, maps, paintings, diagrams and narratives. 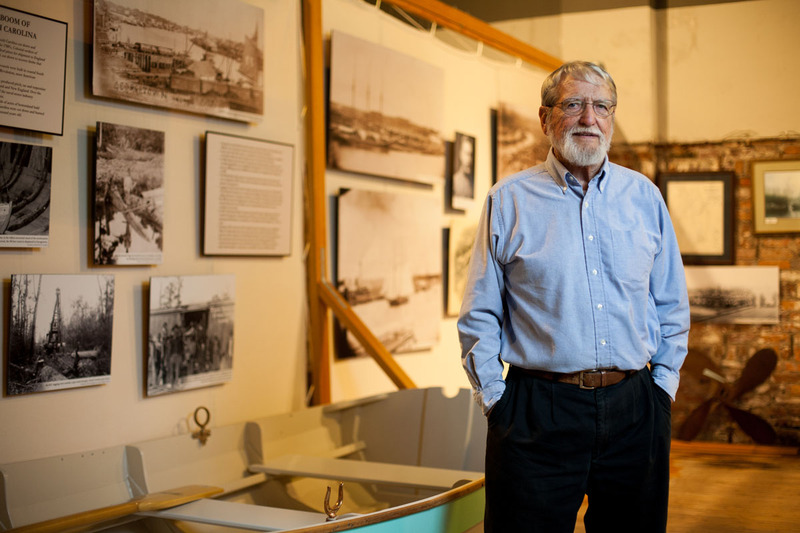 Museum volunteer and author, Robert “Mac” McAlister, with help from his wife, Mary, designed the rustically attractive exhibit. His book published in 2011, “Wooden Ships on Winyah Bay,” discusses the HENRIETTA, and his recently published book, “The Lumber Boom of Coastal South Carolina: Nineteenth-Century Shipbuilding & the Devastation of Lowcountry Virgin Forests,” goes into even more detail about this dramatic historic event. In 1874 William McGilvery and Captain Jonathan C. Nickels decided to build a 200-foot-long, 3-masted square rigged cargo ship at Bucksville, located a short distance north of present-day Bucksport. It was 1874 when William McGilvery and Captain Jonathan C. Nickels decided to build a 200-foot-long, square-rigged Downeaster (an advanced for the times 3-masted square rigged cargo ship) at Bucksville. Located a short distance north of present-day Bucksport, Bucksville once had 700 residents who worked in a thriving local logging industry. The partners enlisted more than a dozen friends and relatives to finance construction of South Carolina’s first and only Downeaster, and in the fall of 1874 more than 100 craftsmen arrived in Bucksville from the shipbuilding Mecca of Searsport, Maine. First 1.3 million feet of wood, mostly longleaf pine, had to be cut and milled, and then the building began. The exhibit includes a section of a virgin bald cypress log cut during this time that was a sapling in the 13th century. After the HENRIETTA left South Carolina, she never returned. Her building cost of $77,368.06 turned out to be a wise investment as she spent the next 19 years sailing the world and delivering cargo, including being one of the last sailing ships to deliver tea from China to New York City. The only known photograph of the Henrietta was taken in Kobe, Japan, in 1894 just after a typhoon ran her aground and destroyed her bottom. “All of the pine and oak timbers from the forests of Bucksville, South Carolina, were cut into small pieces and sold in bundles to the citizens of Kobe for use in their stoves and fireplaces,” McAlister wrote. Such ambitious wooden shipbuilding was never again attempted in South Carolina. 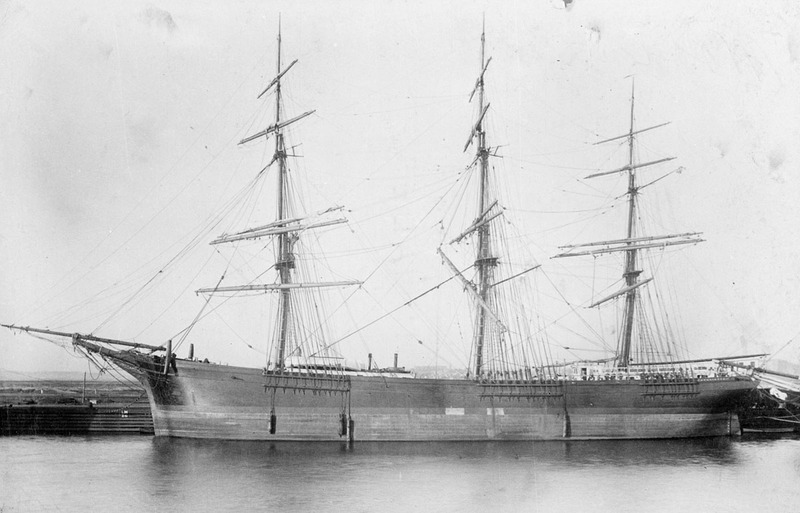 The HENRIETTA was among the last major square-rigged wooden ships ever built in the world before steam engines and iron frames dominated the industry. This 18 minute documentary video includes the history of the HENRIETTA (at about the 6 minute mark). The documentary can be seen at the SC Maritime Museum as part of the HENRIETTA exhibit. The exhibit and video were funded by a Georgetown County Accommodations Tax grant.